Maggi Royale Korean Spicy Braised Beef. Royalicious !! I believe Maggi introduces this flavor in November 2014. There were heavy advertisements on Youtube, social media platforms and various websites showing the banners of new Maggi flavor in Malaysia. Maggi Royale noodle has been upgraded and its first flavor using Maggi Royale noodle was the Maggi Penang Seafood Curry flavor. I have tried both and the result is fascinating. I thought there was no instant noodle company could match the noodle quality of Mamee. But, it seem like Mamee met a strong competitor in instant noodle business. Besides that, I have tried this new flavor. Servay at Kota Kinabalu seem to have this new flavor in its shelves. Do note that the selling price is RM7 plus. What's more, there were only 4 packs of maggi Royale Korean Spicy Braised Beef in a bundle. The taste was fantastic. It was spicy and the noodle was slightly bigger. Reminder to all that should you try this you must add some more water in order to reduce spicy soup. I think this is one of it kind in Malaysia. 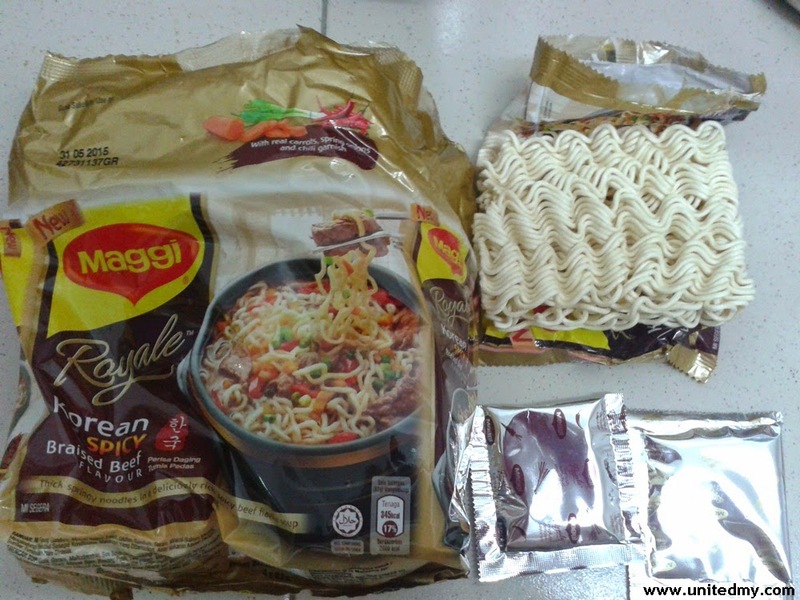 Maggi could be the first instant noodle company in Malaysia to introduces beef flavor. The above image is lacking of hot water. I was eating one pack only . I usually boils water and put the noodle inside then, I will prepare another water making sure will not drink the boiled water used to cook the instant noodle. 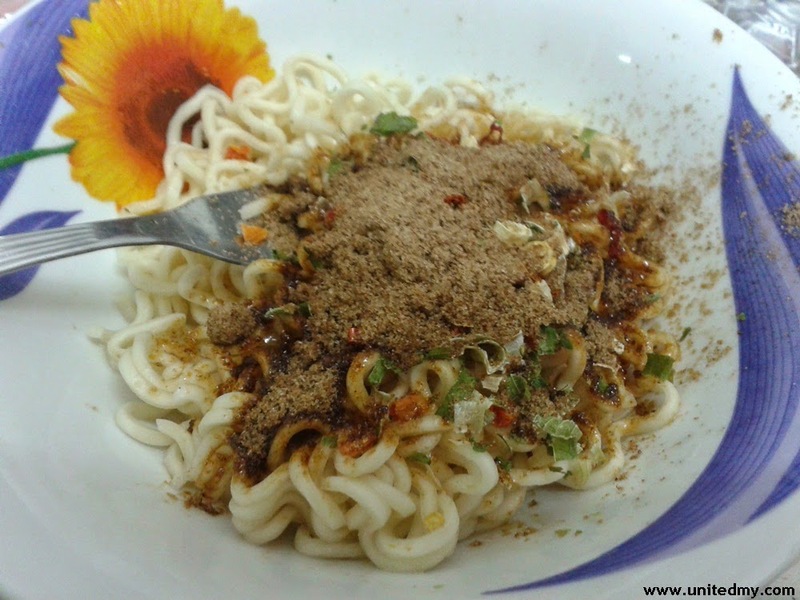 People said, it contains some kind of lax or preservative in order to sustain noodle expiry date.